We are a leading Manufacturer & Wholesaler of Corporate Promotional Products such as Promotional Mug, Promotional 3D Photo Frame, Promotional Caps, Promotional Wall Clocks, Promotional Rotating Pen Stand and Promotional Badge from India. Being the quality oriented firm, we are offering a comprehensive range of Sublimation Wooden Sheet. Our wooden sheets are precisely designed from the superior quality material under the guidance of professionals in conformity with the market trends. Offered wooden sheets are checked in terms of quality so as to supply a defect free range. As well, these wooden sheets are comes on assorted sizes & designs as per the requirements of customers. Sublimation Coaster Blanks, Digital eat Transfer Papers, Sublimation Supplies, Imprintables, Heat Presses and More.We have some great quality Chromaluxe MDF and fabric coasters and placemats. 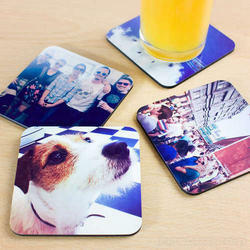 We offer round and square for Sublimation Printing.Bar Coasters for Dye Sublimation - Hardboard & Cork. Be the first to review this product. 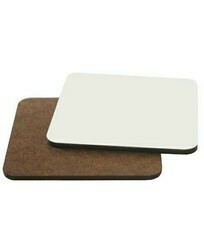 Great value and durable - High Gloss finish!offering with trendy Photo Slate coasters. 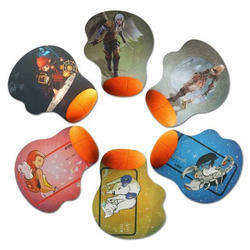 Each coaster includes rubber feet to prevent scratches on furniture. ... DrySub Mates is an exciting line of self-absorbent protective products for sublimation.